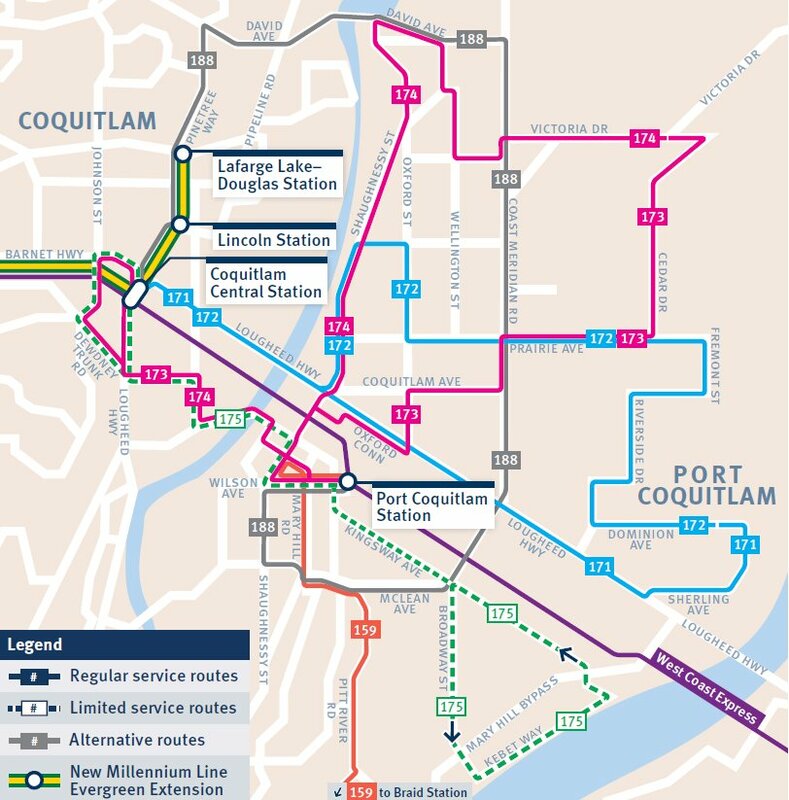 Introducing brand new bus service for northeastern Coquitlam and Port Coquitlam! These routes will now provide direct connections to the new Evergreen Extension. Community Shuttle buses across the Tri-Cities are also being renamed. 171 Fremont/Coquitlam Central Station and 172 Riverside/Coquitlam Central Station serving the former C37 areas with new service to Dominion Triangle and a direct connection to the Evergreen Extension. 173 Cedar/Coquitlam Central Station and 174 Rocklin/Coquitlam Central Station cover the route previously served by C38. 175 Meridian/Coquitlam Central Station (previously C40) providing a new connection to the Millennium Line Evergreen Extension. 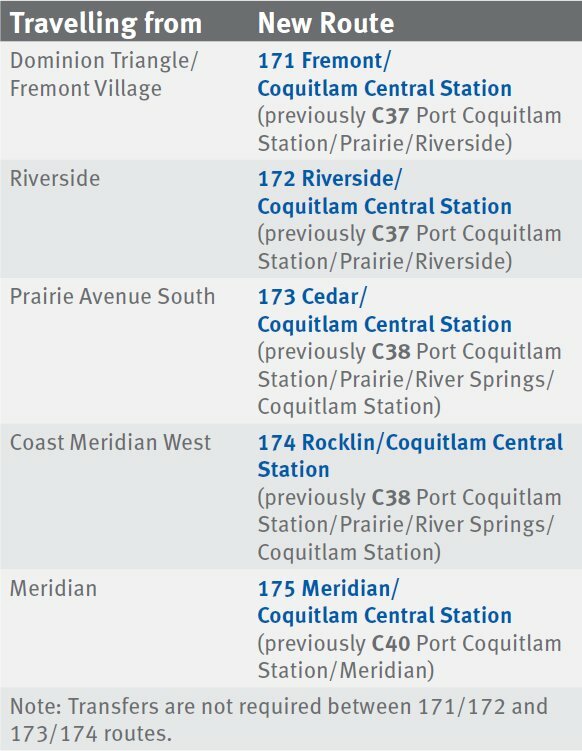 170 Port Coquitlam Station/Port Coquitlam South (previously C36) has no route changes. 188 Port Coquitlam Station/Coquitlam Central Station gets increased capacity. Stay tuned for the next Bus Route Buzz post where the 169 Braid Station route will take centre stage. Want to know more about bus planning? Watch our Facebook live stream with Denis the Planner! Plan ahead! Visit Trip Planner to map your route – use December 19 or later as your travel date. Have questions? Contact Customer Information at 604.953.3333 or tweet @TransLink.